It’s been a turbulent time in the world of startups in recent weeks. Multiple mutual funds have moved to lower IPO valuations, and fewer of these young companies are making it out of the gate. But for investors seeking to buy brand new shares in promising consumer Internet or cloud computing companies, lower IPO valuations could be a good thing. The saying “quality over quantity” is particularly apt when it comes to the IPO market. While some of these fledgling stocks often go on to show enormous growth, many flop and create big losses for investors. 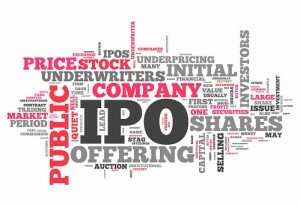 Today, as funds lower IPO valuations for several high-profile startups, they are helping the market adjust to more realistic valuations, while weeding out some of the weaker players. Late last year, the high-profile mobile payments startup Square Inc. (NYSE: SQ) went public at a lower-than-expected price, setting the tone for a more subdued IPO market in 2016. Then last month, Fidelity Investments cut valuations for several well-known startups including the do-it-yourself cooking service Blue Apron and the file transfer service Dropbox. IPO volumes year-to-date are significantly below year-ago levels. Focus on the underlying value, not the IPO valuation. When trying to make sense of these lower IPO valuations, it is important to keep in mind that values for young businesses with somewhat unproven growth trajectories will always be somewhat arbitrary. A mutual fund cutting the paper value does nothing to change the startup’s intrinsic value so it’s better to focus on fundamentals than valuations. By these standards, Acacia Communications, which makes high-speed networking products, looks like a good bet. It is already profitable and operating in a sector where demand is large and growing. Beware of the trendy startups. History has shown again and again that trendy consumer-focused businesses that go public on a wave of interest often struggle to grow into sustainable companies. There are exceptions, of course, such as eBay (NASDAQ: EBAY), which ushered in a whole new form of retail. But for every eBay there are many more popular niche businesses that will never be able to scale. In this year’s crop of IPO contenders, I’d approach Blue Apron, as well as the fitness studio chain SoulCycle with caution. It’s worth questioning whether either of these businesses have the growth potential that investors want. Seek disrupters. Whenever interest in IPOs slows down, we always hear about a rush to quality, a demand for stronger balance sheets and a preference for profitability. But consider how many years Amazon.com (NASDAQ: AMZN) spent as an unprofitable publicly traded company, and you’ll understand that’s not exactly true. In reality, profitability is just one way to measure value and if investors identify a business that has the potential to really disrupt an existing industry, they may be willing to wait on profits. For those reasons, I suspect that Uber, which has disrupted the taxi industry, Airbnb, which has disrupted lodging, and 23andMe, which has taken genomics out of the lab and brought it into the household, all remain promising IPOs. Their valuations may fall with the group and they may struggle against regulatory challenges, but at the end of the day, you can’t stop progress. Airbnb, Dropbox, and Uber don’t trade on the Nasdaq. These investments are only available “off market.” Until recently, they’ve only been available to billionaire investors, venture capitalists, and hedge funds. Discover a simple back-door opportunity to invest today.